Happy Chinese New Year. This is the year of the Dog. I don't know anything about Chinese Zodiac but I know enough to know I was born in the year of the Dog. I know, I know, my profile says I was born in the year of the Rooster but I assure you, I roll with the Dogs. Therefore I feel this is reason to celebrate. There are two weeks to celebrate the new year and from what I hear, a lot of the Chinese are right here in Las Vegas spending a lot of money. In other Danie news, my ipod got a makeover. In case you're tuning in for the first time, Jesse bought me an ipod shuffle for Christmas. 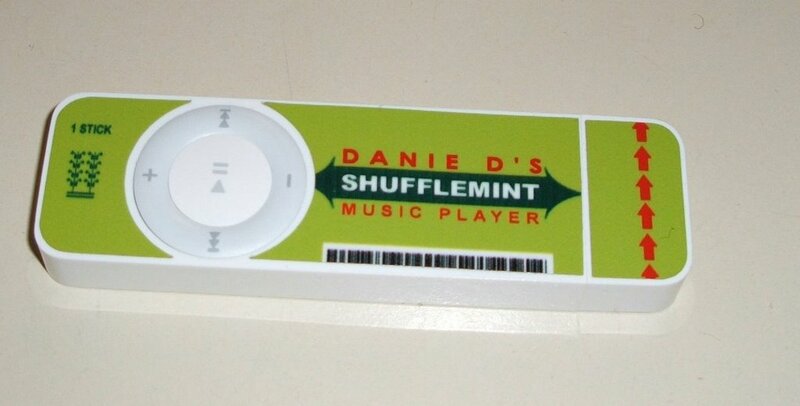 As you can see, it came in the standard ipod white. I've been looking all over for (reasonably priced) covers. I found a few, but the shipping negated the costs. But Jesse came to the rescue. While reading Bust Magazine (he's not the actual subscriber) he found DecalGirl. I went there and voila! A fun and just adorable decal for my fun and adorable ipod. jesse seems to always be full of insightful ideas. does he wake up to pancakes everyday? he should.